Eating nutritious meals and exercising regularly can do wonders for your overall quality of life. However, not everyone knows how to incorporate healthy habits into their daily routine. This is where nutrition services in Battle Creek come in. 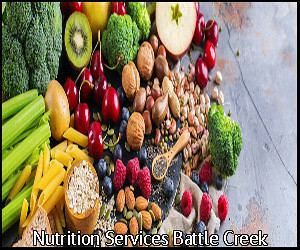 If you want to live a healthier lifestyle but don’t know where to start, nutrition services in Battle Creek can point you toward the right direction. By reaching out to professionals who provide nutrition services in Battle Creek, you can begin working toward your health and wellness goals. Whether you need help with managing your weight or preventing chronic diseases, nutrition services in Battle Creek can benefit you immensely. For comprehensive nutrition services, Battle Creek residents trust none other than Restorative Health Care. Our goal is to guide people toward better health and healing through our nutrition services in Battle Creek. Utilizing the functional medicine approach, we provide individualized, integrative, and science-based nutrition services for Battle Creek patients. The meals you consume every day have the ability to change the trajectory of your health and wellness. For this reason, eating the right amount of food at the right time is vital. When you ask for our nutrition services in Battle Creek, we’ll teach you how to make these healthy food choices. Our nutrition services in Battle Creek may involve removing all the unhealthy meals from your home and bringing in more nutritious options. We can also give you a guided tour of the grocery store and teach you healthy meal planning and preparation techniques. Through our various nutrition services in Battle Creek, you can learn vital information about how to choose the most nourishing food options. Individuals who don’t practice healthy eating habits are more likely to develop conditions such as diabetes mellitus, heart disease, or chronic kidney disease. If you want to avoid these chronic diseases, your best course of action is to come to us for nutrition services. Battle Creek men and women who make nutrition a priority significantly lower their risk of developing ailments. Eating the wrong types of food at the wrong amounts can lead to more significant weight gain. To avoid this problem, opt for our nutrition services. Battle Creek patients who need help staying in shape will benefit from our nutrition plans. With our help, you can learn how to better track what you consume and maintain a healthy weight. If you come to us for nutrition services in Battle Creek, we will also counsel you about your exercise regimens, which have a significant effect on your weight. A healthy lifestyle is not just about eating right; staying fit and active is also important to your well-being. Turn to us for nutrition services in Battle Creek, and we will help you become more aware of the vital role exercise plays in your health. At Restorative Health Care, we are passionate about providing holistic and personalized nutrition services for Battle Creek patients. Schedule an initial consultation with us, and learn about how our nutrition services in Battle Creek can be beneficial to you! Whether you need help with weight management or eliminating unsightly varicose veins, our professional team is here to provide the solution to your problems. With our guidance, you can better manage your nutrition, battle chronic illnesses, and even regain confidence in your appearance. Click here to learn more about our functional nutrition services.